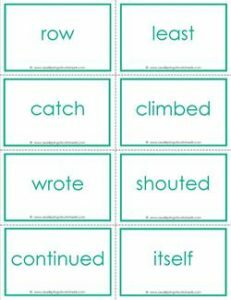 Printable Fry word flash cards – the eighth 100 come in a pretty teal color with fourteen pages, eight words per page. Recommended for fourth and fifth grade. Go to this page to see all the Fry word flash cards in this set.